The Soarin J is a multi-purpose jumping shoe that features FlexFilm overlays, supportive synthetics and a forefoot lockdown strap. 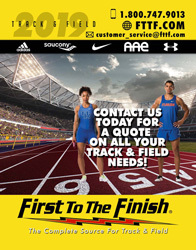 Combined with a rigid 3/4-length Pebax® spike plate, the Soarin J is a jump shoe that can handle the pole vault, long jump and triple jump. 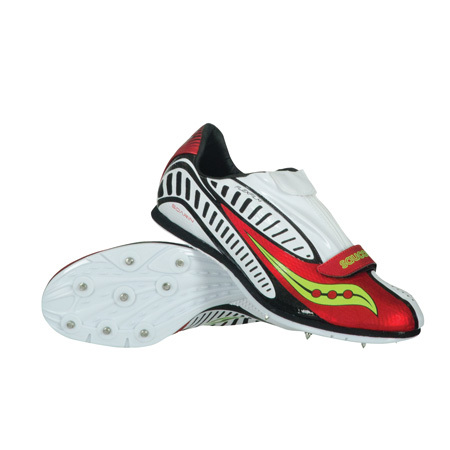 It is more of a long jump shoe that can be used for the triple jump. A good combination of stiffness and build up in the forefront which helps in getting heighth on takeoff which is a plus for the long jump. Overall an excellent spike.